Anyone who has attempted inlaid binding has experienced the challenge of creating clean lines. It can be difficult with flat files. Here is a specialized file which helps. After scoring and removing the skin, this angled file is ideal for the delicate recess line. Its multiple angles and curve steer it towards the cliff allowing for greater control of line and depth. Used with patience, it's possible to create an extremely flush and clean line between bamboo and rattan. Nice one Ken! Where can we get one! Where can we get one! Here is a better shot of a file without a broken tip. I got mine in a box of shakuhachi making tools bought from John Niemi 20 years ago. I'm sure they are made in Japan. Not sure if Mejiro or the other shakuhachi stores sell them. I haven't searched carefully, but I'm wondering if there would be something like this in woodworking or art supply stores as inlaying is a common practice. Thanks Ken, Mine are getting old. Got these at Tokyu Hands over 10 years ago. 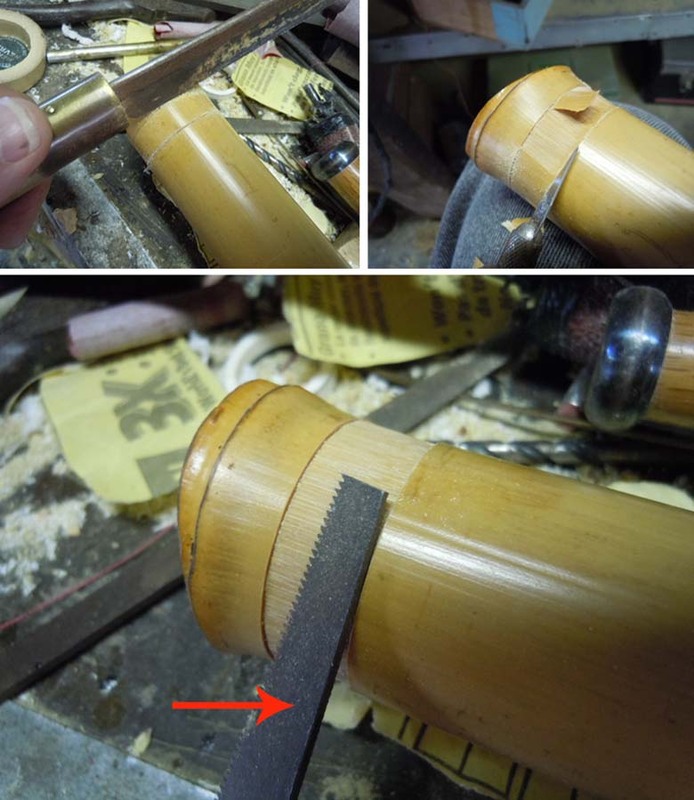 They have a safe edge so it doesn't file into the clean cut of the bamboo. Got these at Tokyu Hands over 10 years ago. They have a safe edge so it doesn't file into the clean cut of the bamboo. Tokyu Hands? Wow, that's pretty convenient. Nice. Yeah, that safe edge really gives you power steering. I searched a little and came up with this possibility. 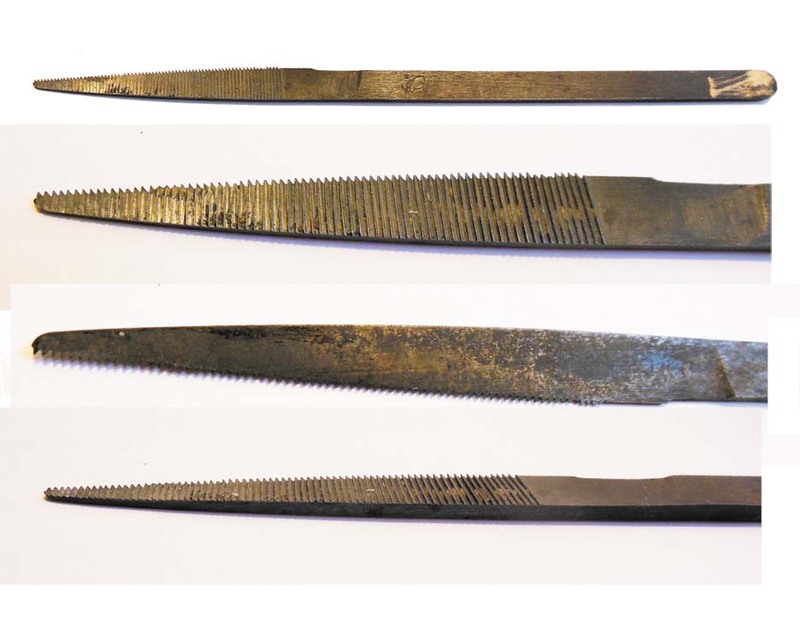 Three Square Pattern Needle File Could be a contender. Does anyone have experience with this particular file?